After a week of touring Northern California and seeing so many little woodsy towns along the way, I can’t stop fantasizing over having our own little house in the woods one day. Until then, this picture will have to suffice. Pictures of our trip coming some time this week. xoxo! 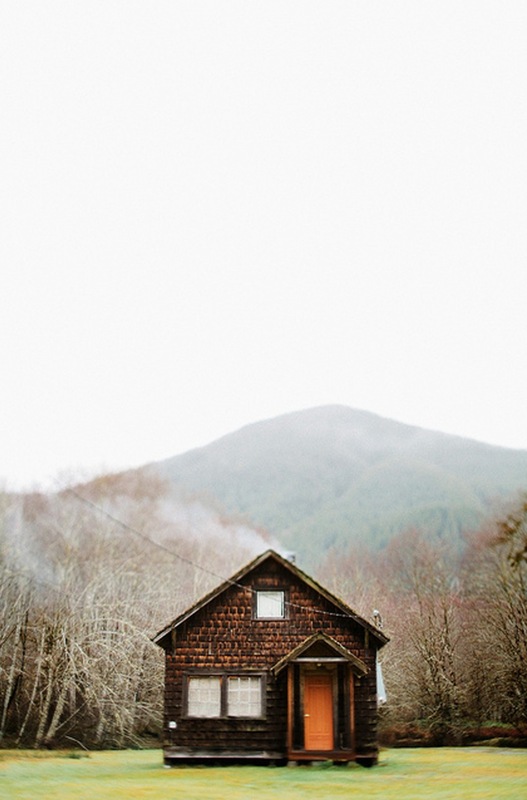 love it – a little house in the woods is what (some) dreams are made of. Find me one too. I always imagined my little house on the seaside cliff in Mendocino, walking distance from the coffee houses and art galleries. Your little house in the woods looks like its either near Carmel or in Boonville, either way you’re walking to some amazing wineries. Thank you for the Monday fantasy, loving it. My husband grew up vacationing in Mendocino (diving for abalone, in fact! ), but I’ve never been. Aaaaahhhh….coffee houses and art galleries on seaside cliffs, what an amazing image. My little house in the woods is actually in Washington state but it could easily have been somewhere in the far north regions of the Golden State :) I’m glad you enjoyed my little fantasy, it’s good to dream sometimes! You can stay in our Treehouse any time! Now there’s a house in the woods!